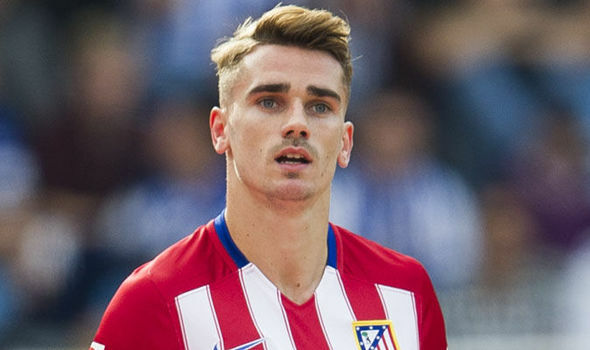 Antoine Griezmann has revealed that he sought the assurances of manager Diego Simeone before signing a new contract with the club. Until recently, the players signed a new five-year contract to keep him at the club at least this season. There are swirling transfer rumours surrounding the Frenchman, who has scored an astonishing 57 goals in 107 appearances for Atletico Madrid. Even though Atletico Madrid were confident that the player be a success when they signed him from Real Sociedad, even manager Simeone would not have expected such a progress from the player. The career of the 25-year-old has had an upward graph with every season and it is widely expected that he would be joining a club like Manchester City or Chelsea. He had been linked with heavily with the two Premier League clubs throughout the summer. Both these clubs would not think twice about paying even £50 million for the player considering his age and his statistics in the last few years. However,Griezmann surprised many by signing this new contract. He says that he sought the assurances that Simeone would remain at the club no matter what. Simeone has been the main reason behind transforming the fortunes at Atletico from a shadow of Real Madrid into two-time Champions League finalists. “I wanted to stay at Atletico and when there was bit of talk of the coach Simeone — that he was going to leave maybe — I called straightway. Before signing my contract, I wanted to be sure [that he was staying too]. Yes certainly because I love the coach. I learn a lot with him and I still need him. I don’t know [joining Paris St Germain].You never know. Let’s say that the French league is not my priority,” said the Frenchman when asked about his future.